Davis, speaking to Searchlight on Wednesday, following a press conference by Constance and lawyer Jomo Thomas the previous day, said that Thomas was in no position to determine whether complaints of police brutality are dealt with. Thomas had said that complaints of police brutality are lodged and nothing else is heard on the matter. 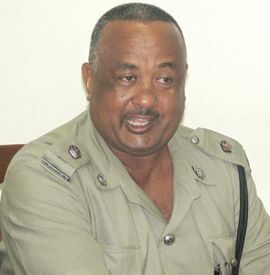 According to Davis, every complaint or statement of indiscipline lodged against the police by the public is investigated, and action, if warranted, is taken. Davis said that there is a procedure that is followed before action is taken. From the time a complaint is lodged, an investigation takes place, with the findings and recommendations taken to the Commissioner of Police. If the officer is found guilty of an offence, disciplinary measures are taken, and the committee would go as far as to recommend if private action should be taken. Davis went on to state that the length of time taken from complaint to final action depends on the length of investigations. The previous day, an emotional Thomas made the call to Minister of National Security Prime Minister Dr. Ralph Gonsalves and Commissioner of Police Keith Miller to act speedily in bringing the officers to justice. Thomas believes that the officer who slapped Constance should be arrested and charged, and the officer who gave the order should be dismissed. He said that such action would send a clear message to ârogue policeâ that the Government of St. Vincent and the Grenadines and the police force would not tolerate the brutalisation of Vincentians.